Here is My Video Depicting the Entire Process. I am happy you wrote it down, I had a hard time understanding your video due to accent difference. It didn’t work for me. I did everything including the zip file but it’s still the same error. Please make sure you reinstall Visual C++ and some components mentioned in that AIO package, you can even uninstall the one that you have and reinstall the new applications. The AIO Package didn’t work for me and i can’t transfer the file “msvcr100_clr0400” from the alternative method. I keep getting told “You need permission to perform this action.” I am the admin and the only user on the computer and i give it my permission but it keeps giving me the same message. I’d appreciate help. The only way to transfer the file “msvcr100_clr0400” is using admin account. Make sure that the C drive is not write protected and “msvcr100_clr0400″ file is not in Read Only mode. I was finally able to transfer the file but i am still getting the error. What else is there for me to do? It worked for me, thank you! Dude my teamspeak3 have that error l do this early but nothing someone help please ? Have you tried the alternate method which involves replacing the dll files? if u have gud knowledge of it so plz help me to resolve it soon!! I m getting the error in wwe 2k16 i had tried all the methods but still getting the errorplaese help me bro…….. I have followed all the steps and the game’s working too but it lags sometimes and after closing it a command prompt opens asking for a new date what should I do about that ????? how can i reinstall visual C++ ? I Uninstalled All Visual C++ and then runned the Aio. and it reinstalled. Its that correct? pls tell me anybody. I open up this program, and the only applications I get are Adobe Flash player. None of my other programs come up here. I don’t know what to do. i have same problem and i downloaded it from ur site? Ya, you can follow the method to fix the issue. plz give a solution , i have installed this application and done every thing . Yet I am facing the same problem. Sometimes the issue still exists even after installing the files. A reinstall of the AIO package files should work, you may give it a try. Uninstall the Visual C++ applications from your PC and run the AIO package again, you should be able to reinstall them. It downloaded in a different language from the Mediafire link, how do I fix? That shouldn’t happen. You might have downloaded a different file, please check it. The language is english itself. No you can download the file from anywhere. Make sure the file matches with the one I mentioned. No, download any one of them, both are same files but different download servers. Make sure all the applications mentioned in AIO package are installed, if not, uninstall them individually and run AIO package. same error for the fortnite dude help!! I can’t the files to System32.It said”You can’t perform this action”,Can you tell me how to fix it? which step? while installing AIO package? After I read your steps I realized why this happened…! Ha Ha, really sorry for the inconvenience while downloading. Its amazing that the method worked for you. Have a good day. Tom clancy splinter cell blacklist is giving this error please help me what can I doo ? i have windows 10 64 bit and i when i click the link below it only refresh the page i dont know where to ffind the download button because some of it is only ads with dowload button…. Sorry about that, please scroll down a little bit and you could dee ‘Google Drive’ or ‘Mediafire’ links. Use one of them to download. Hola me sale ese error con Outlast y Fotnite. No me funciono ningún método, pero al instalar el paquete AIO hay dos aplicaciones que no se pueden instalar. ¿Cómo lo podría solucionar ??? Thats probably because you have the latest version of those 2 applications. Please uninstall them and then run AIO package, that should help. Hi please scroll down to see Google Drive and Mediafire links and use one of them to download. It still dont work after reinstalling everything the game im trying is yandere simulator. It should have worked, but I don’t know what is causing the issue for you. Try replacing the DLL file, the method is listed in this post. If nothing works, I am really sorry. 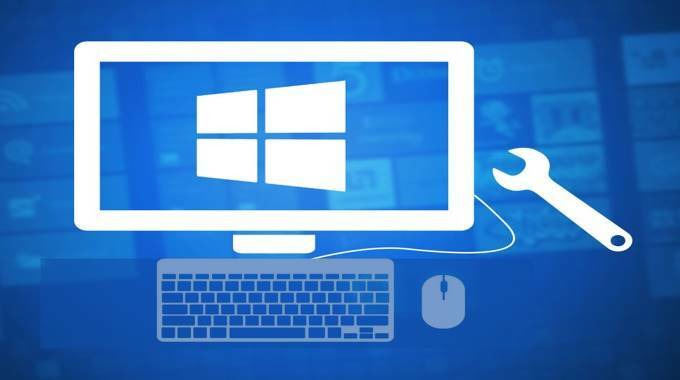 Really sorry that this method did not work for you, if possible uninstall the applications mentioned in AIO pack and then install AIO package, that might work. Have you tried both Mediafire and Google Drive links?